What if it's bad weather? Clients usually come prepared for a bit of rain, however my counselling room is available if the weather really isn't good or we can reschedule by agreement. What happens if people can hear us? Generally the few walkers that we come across will smile, greet and carry on. Nobody will know it is a counselling session and you do not have to introduce the counsellor if you meet anyone you know. If you think that sitting in a counselling room may be off-putting or intimidating, Walk and Talk therapy may work for you. A walking therapy session combines the benefits of gentle exercise, including the positive effect of exercise on brain chemistry and an opportunity to talk through issues. You can let your story unfold step by step and practice more mindful walking to stay calmly grounded in the present. Or you can use it as just a chance to offload and unwind with a supportive companion for a mood enhancing walk. 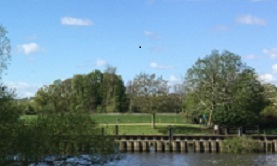 We have a variety of quiet routes around the Thames footpaths and surrounding areas near Marlow, Bourne End and Cookham. 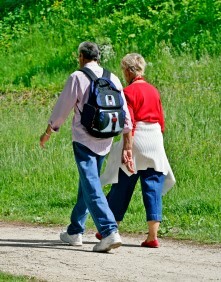 We are able to offer Walk and Talk in other local areas depending on your needs. Sessions start and finish from an agreed meeting point and last for 40 minutes. There is no special requirement to be 'fit' as walking will be paced entirely to your preference and the purpose of the session is therapy and not an exercise class.